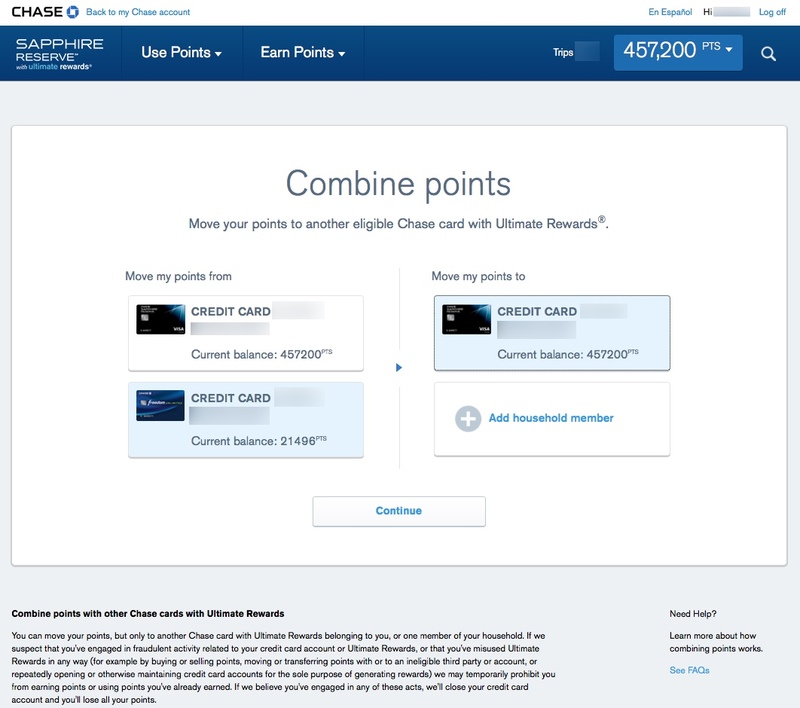 If you have multiple Chase Ultimate Rewards earning credit cards, being able to combine the points earned on each card provides you the capability to maximize the value received from all of your rewards. The reason you want to combine your points is that the value of an individual point and its options for redemption is limited by the credit card with which it is associated. What Card(s) Are The Best to Combine To? The Sapphire Reserve is the single best card to combine all your Ultimate Rewards. It provides the best redemption rate at 1.5¢ per point, allows you to transfer to partners like JetBlue, United, and Hyatt, and also comes with fantastic travel insurance. 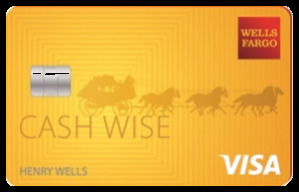 Otherwise, consolidating to the Chase Sapphire Preferred® Card or the Ink Preferred will give you 1.25¢ per point in value and also allow you to transfer to travel partners. If you plan on closing a card account, you'll want to combine your points from that card before cancellation to ensure you don't lose your points. How Do You Combine Points? Combining points is an easy and instantaneous process. You can combine points with any cards that you are the primary cardholder, or cards belonging to one member of your household. If you hold a business card, you may also combine points with a co-owner of that business. In the left column select the card from which you want to move points and in the right column pick the recipient and click Continue. Note: If the card is not listed here and you want to transfer to a household member or a co-owner of a business (if you have a business credit card), you'll want to select Add household member to add the card to your profile. Enter how many points you can to move and click Review. Review the transfer. Click Confirm & Submit. Note: While there is no “undo” functionality, you can instantly transfer points back to the source card as well. Note the transfer has completed. You can then visit either linked card and complete any redemption. Combining Ultimate Rewards is a fast and free process to ensure you'll always get the best possible value from your points. A good time to combine points is whenever you're thinking about redeeming for travel. 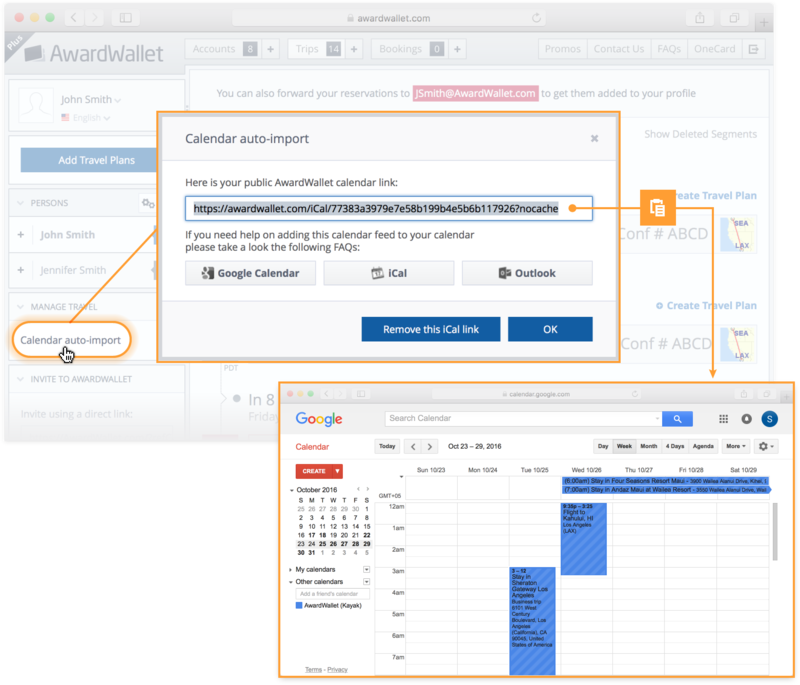 It doesn't cost a thing and gets you in the habit of ensuring your points are associated with the card that provides the highest possible value. Extremely useful tip, especially the point values and transferability. Any idea about whether these can be used elsewhere – say amazon.com? Sure, they can, but the value is poor. Please don’t use them at Amazon. You would never want to use Ultimate Rewards points to purchase on Amazon. Quite the opposite. Instead you want to use your Chase Ink Business Plus card that generates 5x points at office supply stores to buy Amazon gift cards so that you generate 5x points on Amazon. Being able to combine point between cards and between household members is definitely one of the best features of UR. I think that I like the Ultimate Rewards for travel redemption. But I never get approved for Chase business cards. And the 5/24 rule keeps me from applying for a sapphire card, not that I know which sapphire card to apply for anyway. Feel it’s getting tougher to qualify and participate in all these programs. I’m glad that Chase makes this easy. What an awesome guide! I had no idea you could do this! Thanks! This is really useful. I am working on gathering Chase Ultimate Rewards points. Thanks for the primer. This will be very useful. Perfect timing as the CSR is next on my radar! Very useful chart. this is a great tip! let’s wish they get rid of 5/24 or that AMEX Is making Chase worry about customers loss so they get rid of 5/24. 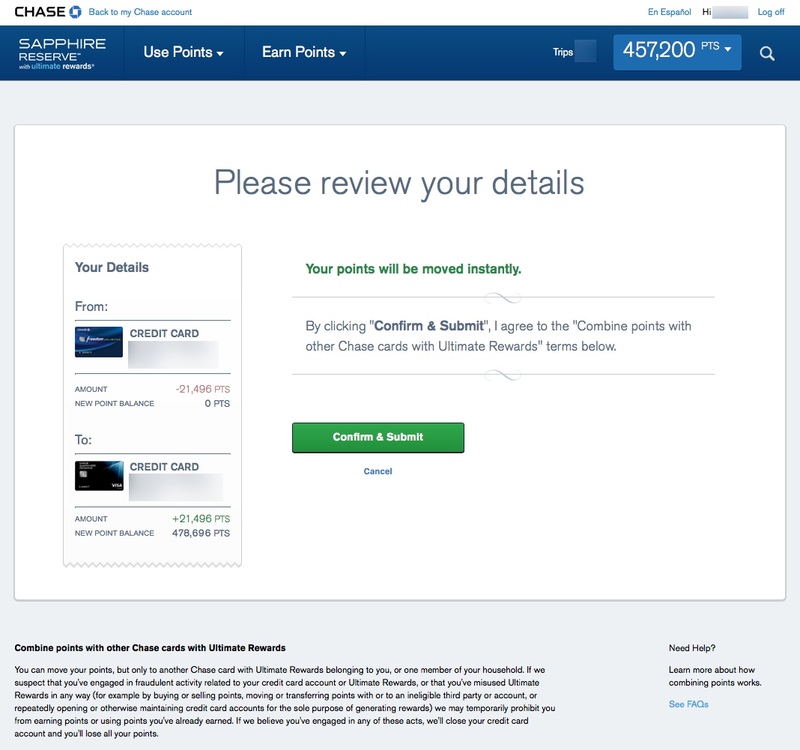 Dare I say that Chase Rewards is the best loyalty program out there! I’ve been very pleased with the Chase UR program for many years. Thanks for this clear guide showing people how to combine points. I have several Chase cards and frequently exercise the methods shown in this article. nice one. chase is the winner of my credit card business! Thanks, this was a particularly useful post, and especially for those of us who signed up for the Sapphire Reserve last year and have still not gotten round to using those points on travel. this is good info to review at least once to get an idea how to transfer the points from one card to another. i did it once without seeing one of these instruction, thought chase made it to be not so difficult, this definitely a good help! Thanks for the great info / options on xfering points!! I do this every month after I pay my various Chase credit card bills. My strategy includes Chase Freedom (for 5x rotating quarterly categories), Chase Freedom Unlimited (for 1.5x earning on all non-bonus spend) and Chase Sapphire Reserve (for 3x earning on travel and dining). This effectively gives me 7.5% on the Freedom, 2.25% on the Freedom Unlimited, and 4.5% on Travel and Dining (assuming I use the points on travel bookings through the Ultimate Rewards portal). Possibly even higher valuation by transferring the points to partner programs! If I have the Chase Ink Business card, and my spouse gets the Chase Freedom, can I move her points to my account? Not sure how it works with my having a business card and hers being a personal card. FWIW, she is an authorized user on my Ink card. According to the terms, yes, you can. I do this every month across my multiple Inks and Freedoms. Great advice to do it on a regular basis. Thanks for the info. I just learned to do this the last year because I finally have UR cards. Sure hope they don’t end the combination option. I do this quite frequently. Thanks for the info that combining points may be a thing of the past. I just did it so I don’t miss it and wind up woith small amounts across multiple accounts. 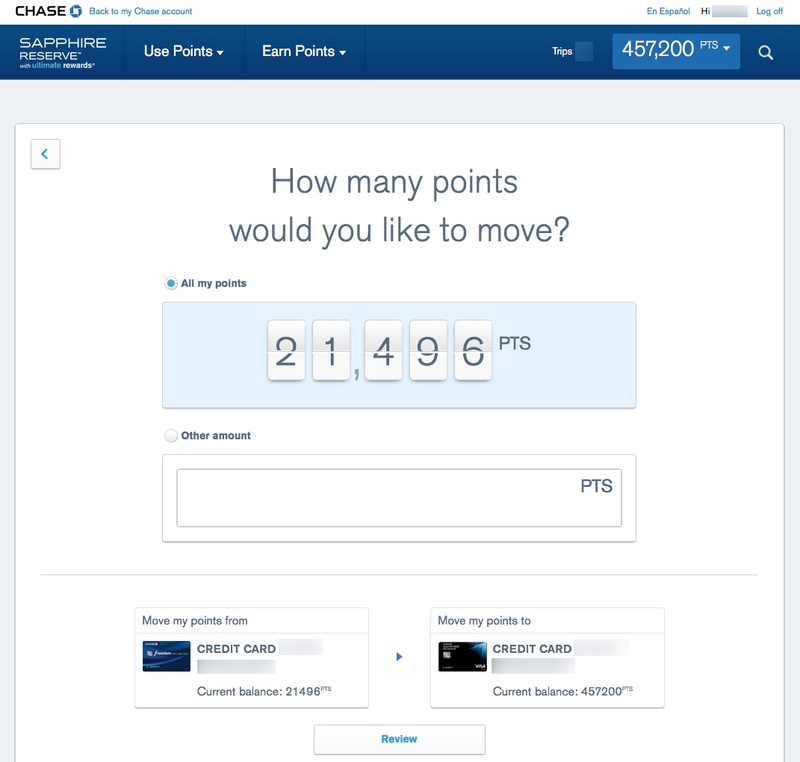 Rumors are again swirling that Chase may limit point transfers between credit lines, and/or between household members, so if you have plans to combine UR points, I’d do it now, rather than delay too much longer. Thanks for the in-depth step-by-step process of combining points. Especially if the rumors are true and Chase intends to do away with this. Chase better not remove the ability to move UR points between cards. This is such an important feature that they just cannot mess with. Ugh, Chase’s anti-consumer downgrades is getting to be annoying. Luckily we’re not such hungry point-chasers anymore, but if any other card issuers wanna fill the gap, now’s their chance. Thanks Chase for making this so easy! Another reason Chase cards are the best! 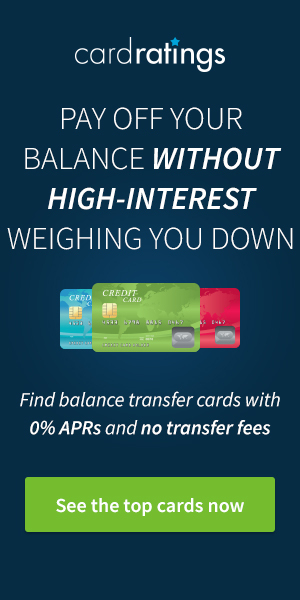 Hope Chase doesn’t limit our ability to pool UR points — that would seriously limit the appeal of their no-fee UR cards. I never thought that Chase might do something like this. The value of having card combinations would be gone. I also collect Amex Membership rewards and a devaluation like this would definitely make those points more valuable to me, since their points are collected into one account. I have combined my points into my CSR account and I’ll be doing so each month. Thanks. @EC My pleasure. As I’m sure you know, it’s always good to be proactive in this game, just in case. Happy to help! Great advice to transfer points on a regular basis. There’s no telling when any award program could change without notice. Thank you! I had no clue you can combine the points! 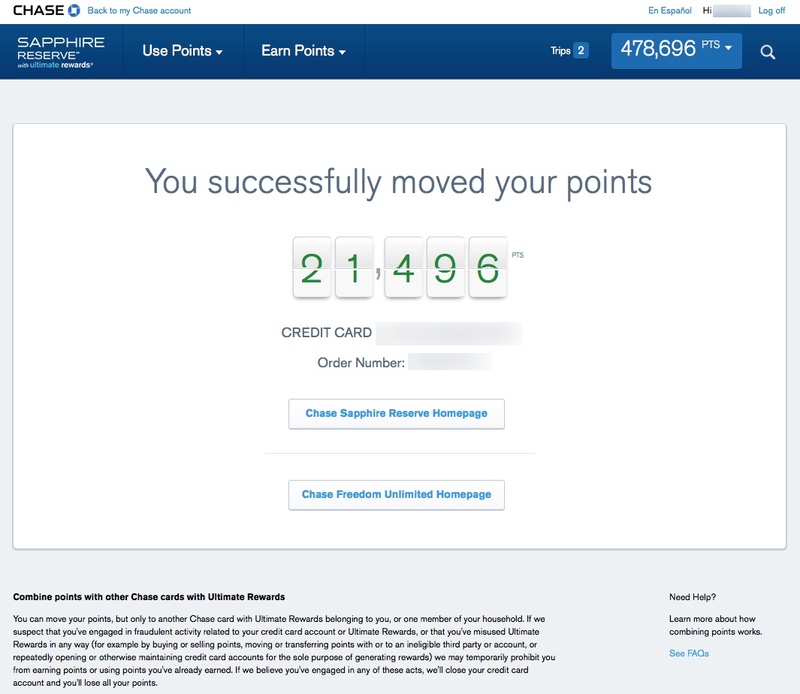 I have tons points on my Sapphire Preferred – moving it to a Reserve makes so much sense. Thanks for the tips! I’ll have to try this as soon as my husband’s UR point post. Thanks.